The team will hold the title throughout the year and will spot trends at both 2018 markets, April 14-18 and Oct. 13-17. 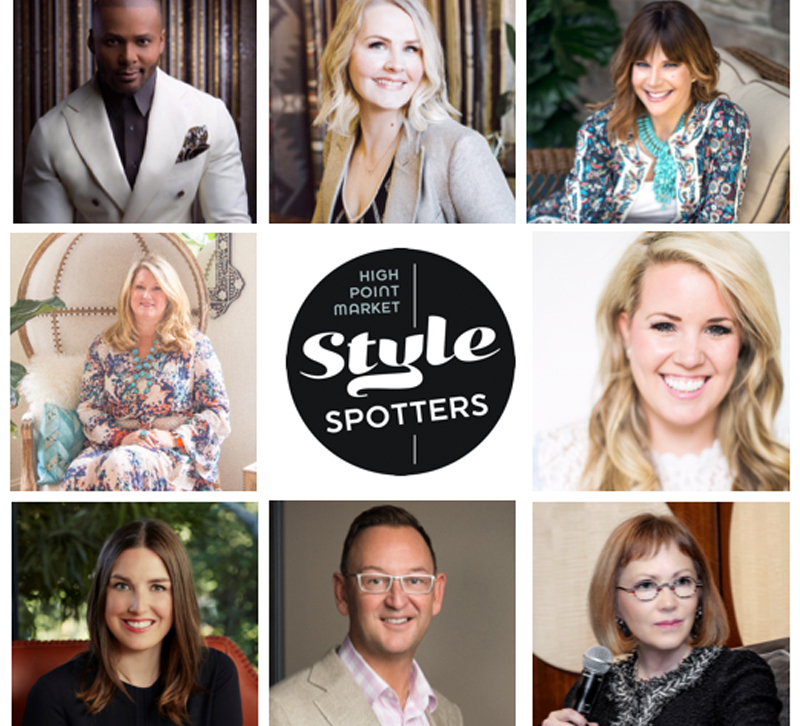 The High Point Market Authority (HPMA) announced today the 2018 Style Spotters team. -Mary Douglas Drysdale (DC), Drysdale, Inc.
-Stacy Garcia (NY), Stacy Garcia Inc.
-Justine Macfee (CA), Catherine Macfee, Inc. The group was unveiled as the incoming team at the Style Spotters LIVE! breakfast during the October market, but now they are officially taking the reigns as the 2018 Style Spotters team. They will hold the title throughout the calendar year and will apply their trend-tracking abilities to both 2018 markets, April 14-18 and Oct. 13-17. Style Spotters are charged with scouring the market to find their favorite products and top trends, leaving behind a card on each item they spot. These finds are then posted to High Point Market Pinterest boards and contribute to the two Style Reports (April and October) that the HPMA produces. Michelle Jennings Wiebe, the team’s Style Spotter “Emeritus” and President of Studio M, Inc., provides guidance to the team and writes the introduction for each Style Report. The HPMA put the 2018 team together by using a combination of self-identified and well-known candidates, with an impartial vetting and selection committee. The committee sought a diverse and geographically balanced group. Former Style Spotter Shay Geyer, member of the 2014 Style Spotters Team and owner of IBB Fine Furnishings, and Wiebe were crucial participants on the selection committee. Market attendees will be invited to join the Style Spotters at both 2018 Markets on Tuesday morning of Market Week at 9 a.m. for Style Spotters LIVE!, a free event at which the Style Spotters will discuss the top trends and products they found at Market. This event is immediately followed by the Style Spotters Trend Tours, which are led by individual Style Spotters and encompass all corners of Market. These tours are an opportunity for attendees to receive guided tours through two of a Style Spotters’ favorite showrooms. More information about the Style Spotters program and 2018 team can be found at www.highpointmarket.org.